Suzuki has announced a range of updates for the Swift range, with improved kit and updated engine options. 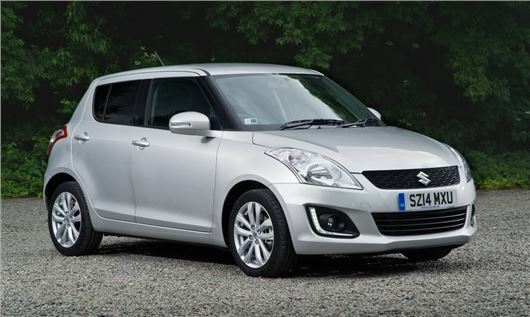 Order books are now open and buyers can get a revised Swift at a discounted price, thanks to Suzuki’s VAT-free offers. All four trim levels - SZ2, SZ3, SZ4 and Sport - have been carried over from the previous Swift range, but Suzuki has improved the specifications so that all models (except Sport) get daytime running lights and front fog lights, along with a gear shift indicator and tyre pressure monitor system. Suzuki has also added a new paint colour to the 1.2-litre range - Amethyst Grey Pearl metallic – and SZ4 trim is bolstered with the addition of sat nav and DAB radio as standard. Suzuki has dropped the 1.3-litre DDiS diesel engine from the range, but revised the 1.2-litre petrol line-up with the choice of four-wheel drive. As with the previous Swift range, the 94PS 1.2-litre engine returns a claimed 56.5mpg and emits 116g/km of CO2. The 4x4 Swift is limited to five-door models only and is available with SZ3 or SZ4 trim, with the latter getting front and rear skid plates, black wheel arch extensions and black side skirts. Emissions on 4x4 models rise 10g/km, to 126g/km, while economy drops 5.1mpg to 51.3mpg. The 1.6-litre Sport remains unchanged from the previous model and retains 136PS. Fuel economy remains a claimed 44.1mpg while CO2 emissions are 147g/km.